lawn, trees and flowers," said Director Zachary Brinkerhoff. and good perch fishing in our backyard." Anatomy & Physiology: Eleven Body Systems & 12 Organs Under the Spotlight with their Anticipated Response to Reflex Stimulus of the Foot, Hand, Ear and other selected energy points on the body. The Major Postulate for the Cause of all 12 Classifications of Disease and the Dynamic of Reflexology (ReflexoCure) to Help Eliminate the Causative Factor; Observed Through Symptom Relief. ReflexoCure (reflexology) Techniques: Twelve hand and twelve machine reflex techniques & their dynamic to the create the Piezo electrical surge & the Negative Direct Current of Injury which signals the brain to release the Negative Direct Current of Regeneration into the targeted body part which produces healing and restoration. Historical overview of Reflexology (ReflexoCure) practice from countries of India, China, Japan, Egypt, South Africa, Bible, Russia, Germany, Denmark, England, Australia, Canada & United States. Case Histories of Patient Results/Response to Full Spectrum Reflexology (ReflexoCure) treatment of reflexes in the foot , hand, ear and other selected energy points on the animal and spiritual body. Functional Foot Disorders & Corrective Foot Joint Microalignment ReflexoCure Pressure Technique as understood by Drs. Timm, Wikler, Lampell, Hiss, Withers, & Brinkerhoff. Naturopathic nutritional studies & spiritual insights that can lead to elimination of Deadly Emotions for recovery from mental & spiritual disfunction - helping the MIR Student discover the pathway that leads to a full life of joy, peace, love and right standing with the Creator of all things. Professional and Ethical Guidelines for Building a Secure and Successful ReflexoCure (Reflexology) Practice. Reflexology Practicum: Documented reflex activatiion to the Foot, Hand, and Ear, using the MIR Logbook and/or official Documentation Forms and full disclosure statement. MIR's first graduating class (following the death of Dr.
Wittman) was conducted by Zachary Brinkerhoff in 1992. 250 hours have been allotted for completion of the 12 Lesson Home Study and Open Book Questions for those without previous study in anatomy/physiology or past experience in the health care profession. However, some health care practitioners with previous study and practice have completed the academic part of the studies in 25 hours or less. Note: Freelance ReflexoCurists (reflexologists) with previous field experience may be credited with up to 150 hours of practicum toward the MIR Professional HSCC Diploma. in the discovery of her purpose in this life. First, I am writing to thank you and your staff for all the support over the years, and the ability to answer any questions I have had. Second, I want to give you an update on where reflexology has taken me in a relatively short period of time. I am so grateful for all the exciting experiences and the wonderful people I have met by launching into this wide-open field of Reflexology. Thank you for sharing yourself in this way! I started my quest to find a source for learning reflexology as a result of an illness which could not be resolved medically. I was unable to get any answers about how to heal myself. I became so impatient with the medical options in my area of Nebraska that I was beginning to think I might be in need of some mental health assistance. At that time I was in session with a therapist when she asked me what I planned to do with my life after my situation was resolved? I remember saying that I couldn't think beyond the pain in my feet, and that I would give big money to a reflexologist. MIR Clinic for her first-time tour of the facility. At that time there were few complementary and alternative therapies offered in my area. I remember the therapist saying, "Why don't you learn reflexology? You could then benefit from it and also offer it in this region of our State?" So learning reflexology through MIR's Home Study Package became my mission. And yes, I builded a successful practice in North Platte which was an outgrowth of earning my 250 hours of practicum required for graduation. This was a time of self-healing as well as treating and guiding others to discover a more natural way to better health. After my husband's retirement from the railroad our family agreed unanimously to make a move to live in Vail valley, Colorado. What a blessed family adventure it has been. I just finished working through my third ski season, which has brought a wealth of friendships and wonderful travel experiences. 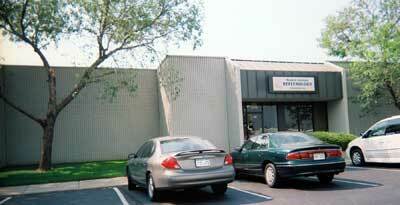 My clients have sent me to help their relatives in Costa Rica, Pennsylvania, Washington D.C., Ohio, and Florida. Again, relatives have been brought to Vail for treatment by my hand. These sick and suffering have come from Ohio, New York, and Baltimore. It has been so rewarding to meet and help people from these many different places and walks of life. Zachary, let me repeat how truly grateful I am for your support and guidance. What an inspirational career choice! Last September I attended a workshop in Washington State taught by Inge Dougans with the assistance of a staff member at a branch of the International School of Reflexology & Meridian Therapy founded in South Africa. I plan to continue to learn all I can - next will be Korean Hand Reflex Therapy - and to keep on inspiring others to experience and to fully utilize reflexology to help gain and maintain excellence in health. a visit to MIR Clinic. I would like to introduce myself and allow the review committee the opportunity to see how I plan to use my reflexology certification in the future. I am currently a physicist at Carnegie Mellon University. My research experience is extensive. 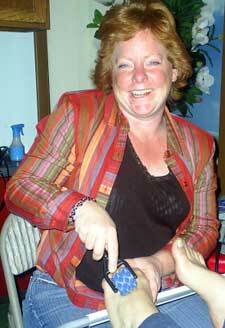 My objective is to use my experience in research in conjunction with my love of reflexology. I realize that some people enter my treatment chair with healthy skepticism. I want to provide validation to those seeking scientific proof. In December, I applied to the Exercise Physiology Master's program at the University of Pittsburg. In January, I was admitted to their program and given an advisor. My advisor, Dr. Duquin, has received grants, since 1996, to study the physiological benefits of massage. Hopefully, I will be able to learn how to evaluate and analyze the human body and prove the physiological benefits of reflexology. The master's and Ph.D. clinical programs require separate applications. I plan on completing the master's work in two years. After proving my proficiency, I will continue as a doctoral candidate, another three years of education. 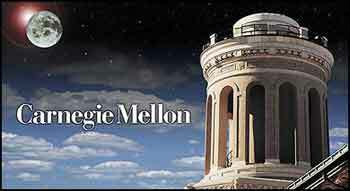 I have resigned from my instructional position at Carnegie Mellon University to pursue my education as a full time student. My goal is to work as a reflexologist and earn enough money to cover the cost of my living expenses. Currently, I have contract with the Carnegie Mellon University Health Center. My next step is to find a place of my own where I can work on people who are not associated with the university. I have thoroughly enjoyed studying under your program. I am excited by the future and cannot wait to see what unfolds. Thank you for taking the time to review my clinical studies, letters of recommendation, and signing my logbook after validation of my hours. MIR Graduate Dawn Horn utilizes Piezo Electric instrument upon Liver Well Point on the Great Toe. Read her letter below about how: "Reflexology saved my feet - and sanity." Tearnee Stringfellow-Neal of Beltsville, MD says, "I have studied massage and reflexology on my own for a number of years, as well as a Medical Assistant graduate. Believe it or not I have more people wanting ReflexoCure than a full body massage." "There is something much deeper than Hands-Only that MIR is tapping into, and I do believe I can touch and use the tools to get the best treatment program in town," said Tea as she wielded the DRUMmer on a recipient of treatment. 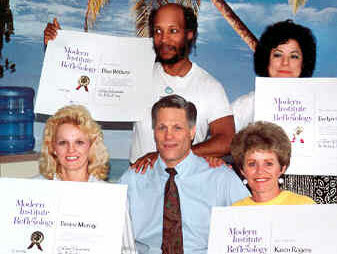 "I am so proud to be affiliated with Zachary and his school," stated Dr. Alfred Obes, MD (retired), DR. Reflexologist Obes attained his MIRCCB Doctor of Reflexology Diploma in July 2006 and continued to sit on the MIR Advisory Board until his untimely death.